If you read this blog much, then you know I have given my opinion several times about Cascade County Sheriff Bob Edwards after he was involved in a disturbance with his girlfriend at a law enforcement convention in Helena on June 15. He was arrested. There were reports that Edwards put a gun in his mouth during the disturbance. He denies it. I called on Edwards to resign because he needs help. Fortunately, someone has taken the actions of Edwards seriously. The Great Falls Tribune yesterday reported that the Public Safety Officer Standards and Training (POST) Case Status Committee (a state ethics panel) has asked Edwards to surrender all of his coroner and peace officer certifications. The Cascade County Commissioners should weigh in on this. Since Edwards has to “surrender all of his coroner and peace officer certifications,” I’m not sure why Cascade County would want to keep him employed. It would be good for the Great Falls Tribune editorial board to weigh in, too. Edwards should do the honorable thing and step down. He is an embarrassment to law enforcement. You can read the full Tribune story HERE. I was fortunate to be a senior member (Partnership Specialist) of the U.S. Census Bureau here in Montana for the 2010 Census. It’s an enormous task to count everyone and the folks who work for the Census Bureau are some of the most dedicated civil servants you will find in the Federal government. Plus, the Feds partner with state agencies like the Montana Department of Commerce to spread the message about the census. It is a team effort. The 2020 Census is quickly approaching and I know the Bureau of Census folks have been planning for this count since the last count. There are always “rumors” about states gaining or losing a seat after the count and this time is no different. The Hill reported that Arizona, Colorado, North Carolina, Oregon, Montana, Florida, and Texas could all gain seats. Now there are reports that the U.S. Department of Justice wants to add a question about citizenship to the 2020 Census questionnaire. In my opinion, if that question is added we will not get an accurate count. Remember – the census counts inhabitants not just citizens. It’s in our U.S. Constitution. I’m sure my religious friends remember the census count in the Bible. Towns, cities, counties, states, and the Federal government need to know how many inhabitants they have. This helps them know how much and where to spend the billions of dollars from the feds on services. Plus, it helps decide seats in the U.S. Representatives as well as districts for state and local seats. We already have people who are frightened about the feds knowing how many people live in their house – or that they want to somehow use it to take their guns. These people won’t return their forms, which means a census worker will visit their house and/or talk to their neighbors to count them. Rest assured – you are going to be counted. The bottom line is if a question is added about citizenship, it will severely obstruct the 2020 Census count. Don’t add a citizenship question. As a member of the military, I participated in a few parades mostly around the Fourth of July. Many times I was a volunteer because it was my day off. My regular job was securing nukes. When I heard that President Donald Trump wanted to have a military parade that would be bigger and better than the Bastille Day celebration he saw in Paris last year, I laughed. It would cost millions upon millions to accomplish this. That is money we should spend on other things – like veterans, healthcare, and on infrastructure. 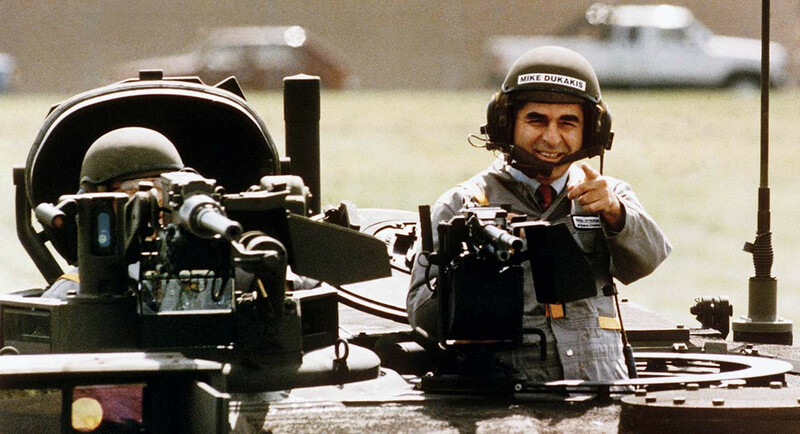 If they do hold a parade, I suggest the President ride in a tank with a helmet on. 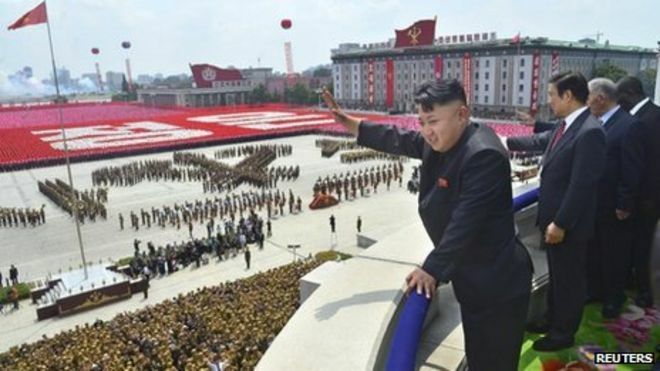 By the way, North Korean leader Kim Jong-un loves parades, too. This entry was posted in Potpourri Odds & Ends and tagged 2020 Census, Cascade County Sheriff Bob Edwards, Donald Trump, Kim Jong Un, Public Safety Officer Standards and Training, Sheriff Bob Edwards, Trump's Parade, U.S. Census Bureau by Jackie M. (Mike) Brown. Bookmark the permalink. I worked the 99/2000 and 09/10 censuseseses. The last time I worked areas from Moose Creek up the North fork to the Clark Fork east of Missoula. I stood on million dollar porches of summer homes and next to old logger’s cabins with a 5th wheel next to it. I talked to “sovereign citizens” and timid church ladies. I had a blast and learned a lot about Montana and it people. The citizenship question is racist jingoism fun amok and as you rightly point out, it’s an un-Constitutional question. The parade idea is just dumb. It’s the sign of an insecure authoritarian trying to show the world who’s boss and demand respect. One thing I learned in USAF basic was, ‘respect is earned, not granted by position.” It serves me well to this day.